I do not lay claim to any great expertise. This is only my second year attempting to garden in Middle Tennessee (zone 7a) on a piece of land that is mostly clay. I have made a lot of mistakes. I'm sure I'll make many more. So...to begin with the peas! 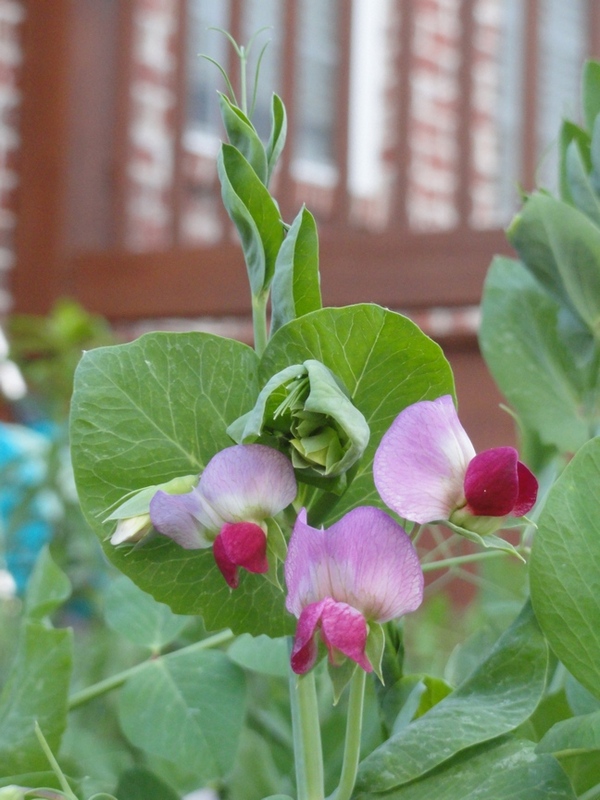 I planted my Dwarf Grey Sugar Pea seeds from High Mowing in mid-March in a base of clay with mushroom compost and pine fines worked into the soil. Not the ideal seed-starting medium you'll find recommended in gardening books. And yet, they grew splendidly through conditions that whipsawed between wet and dry, hot and cold. Frugalista Gardener has a wonderful post on these peas - their edibility, their beauty, how to cook them and how to save the seeds so that you can have a self-sustaining garden. I don't think I can add much to what she has written, except to say that these peas will also grow and apparently flourish even without a trellis.